Voice.Global > Blogs > ENPower or Entries of the Empowered: an update on the diary project in Mali! ENPower or Entries of the Empowered: an update on the diary project in Mali! What or who is a diarist ? A person who keeps a diary or journal. The Entries of the Empowered or ENPower in short is a diary-keeping project to invite representatives of the marginalised and discriminated groups to keep a journal about the obstacles they encounter and the factors that help them become empowered and on the road to self-sufficiency. Forming part of the overall results framework of Voice, ENPower is about empowerment and learning with 9 Voice grantees, in three countries; Cambodia, Tanzania and Mali who in their turn will support 50 diarists. The overall objective is to really make heard and visible the voices of our target groups on their own road to finding and coming to their voice by keeping an audio or video diary. 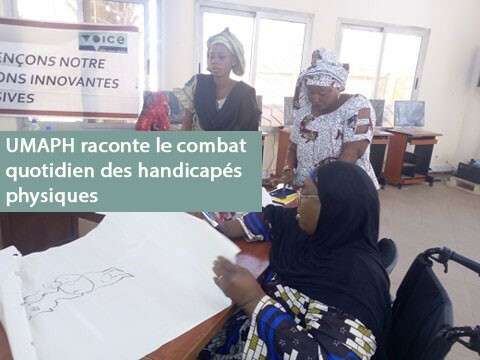 On 11 and 12 December last year, the conference room of the Malian Federation of Disabled Persons (FEMAPH a Malian Influencing grantee) hosted the co-creation workshop and training of trainers of the ENPower project. Co-animated by Caroline Hodges from Oxfam Novib and Doussouba Konate from Accountability Lab Mali, the two trainers first explained the role of the grantees and then give the floor to future trainers for sharing of experiences. Inviting the diary keepers, offering training and support, making sure that all risks of data protection and management are taken care of and facilitating reflection sessions to share experiences are the key roles of the focal points within each grantee. 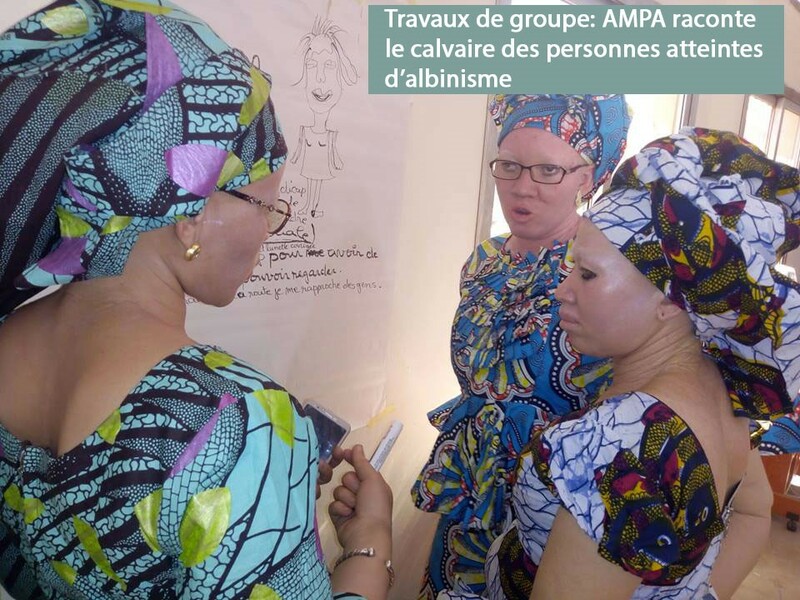 The three grantees that are involved in ENPower in Mali are the Malian Association Malienne for the Protection of Albinos (AMPA), the Malian Union of Associations for Women with Disabilities (UMAPH) et Agoratoire. All three are empowerment grantees within Voice, expressing a lot of enthusiasm to learn about ENPower. In general empowerment grantees are often also target group-led following closely the principle of Nothing About Us Without Us. This is certainly the case for AMPA and UMAPH while Agoratoire works closely with people with intellectual disabilities and their parents. To promote exchanges and conversations, each grantee exposed barriers and support factors to being empowered and have or make their voices heard. The Malian Association for the protection of Albino (AMPA) aims to have self-confidence. The Malian Union of Associations for Women with Disabilities (UMAPH) condemns the inaccessibility of disabled people to decent employment while Agoratoire deplores the social exclusion of people with intellectual disabilities. The two days of training also enabled each target group to give its own definition to the word “empowerment”. For AMPA, empowerment means promoting skin protection of people with albinism and combating their visual by enabling access to corrective eye wear for everyone. For UMAPH, empowerment consists of having the means to move around independently and have a job like others. Finally for Agoratoire, empowerment among people with intellectual disabilities evolves around the ritual and behaviours of a non-disabled bodied person such as going to the toilet, eating, washing their hands and flourishing through the practice of recreational activities like cooking, practicing art, etc. It is through sharing these experiences that the participants and future trainers of the diarists understood that the journals or diaries will be a safe space to explore further the extent of the marginalisation and discrimination to which they are confronted in their daily lives. In addition it allows them to identify the support factors that allows to feel empowered and find and come to their voice. After consultation with the Malian diarists who were present at the training, they opted to change the name of the project to “My Diary”. We will keep you informed on our progress!